Already in 1525, Hans Tausen, a knight hosptaler from the monastery of Antvorskov, had begun preaching Lutheran doctrines in Viborg. In the years hereafter, the Lutheran movement began spreading throughout the country, and although King Frederick I had pledged in his håndfæstning ('charter') to fight against Lutheranism, he nevertheless issued an edict to the citizens of Viborg in 1526, obliging them to protect Hans Tausen. The Evangelical movement had its origins in Germany, where Martin Luther posted his Ninety-five Theses in 1517. The movement quickly gained great influence in Denmark, although humanists like Poul Helgesen long tried to maintain a reform movement within the Catholic Church instead of abolishing it altogether as the Lutherans would. During the first years of the 1530s, the king's passivity encouraged the people to attack monasteries and churches. Former King Christian II who had lived in exile since 1526 took advantage of the unrest and issued propaganda writings, agitating for himself and the new Lutheran doctrine. When Frederick I died in 1533, the Council of the Realm could not come to an agreement on who should be the new king. 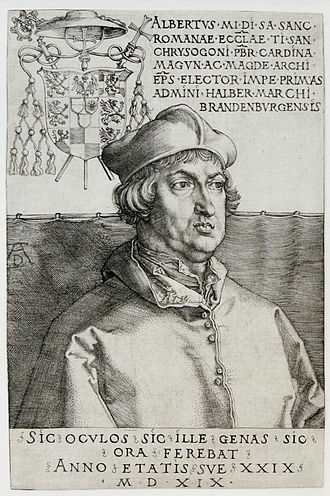 A Catholic majority preferred Frederick's 12-year-old son Hans the Elder of Schleswig-Holstein-Haderslev while a minority supported Hans' half-brother Christian who as duke of Slesvig and Holsten had introduced Lutheranism there during the 1520s. The election of a new king was postponed for a year due to the disagreement. In the meantime, the Council of the Realm governed the country, allowing the bishops to decide what could be preached in their respective dioceses. Moreover, Hans Tausen was accused of heresy and banished from Zealand but the bishop of Roskilde called him back after only one month. Discontent with the nobility taking over control of the country through the Council made citizens from Malmö and Copenhagen along with peasants, especially from northern Jutland, rally around exiled King Christian II. The Council had furthermore decided to join a Netherlandic–Slesvigian–Holsatian alliance instead of Lübeck which by Mayor Jürgen Wullenwever had also been represented at the Council's meeting. In January 1534, the city government of Malmø led by Mayor Jørgen Kock refused to comply with an order from the bishop of Lund to expel the Lutheran preachers. Malmø had already for long been a centre of Evangelical activities and responded to the order by occupying Malmø Castle and arresting the overlord. In May, this rebellion was followed up by the German Count Christopher of Oldenburg attacking Holsten. He had been hired by Koch of Malmø and Wullenwever of Lübeck to conquer Denmark, officially in order to restore King Christian II. Count Christopher's participation in the following two years of civil war named it the Count's Feud. The Count's main objective was not Holsten but Zealand where he sailed and he quickly gained control of all Danish territory east of the Great Belt. On 4 July 1534 representatives of Jutlandic nobility and councillors met in Rye in eastern Jutland. Here the lesser nobility forced the bishops to nominate the Lutheran Christian, Duke of Slesvig and Holsten to the kingship. When the nobility of Funen joined them, Christian agreed and homage was paid to him as King Christian III on 18 August that year in Horsens. After both Funen and Jutland had rebelled and Sweden and Prussia had become involved in the war in Scania, Lübeck withdrew from the struggle in January 1536, and on 6 April, Malmø surrendered, though without losing either privileges or Evangelical doctrine. After the population had starved for months, Copenhagen gave up too and Mayor Ambrosius Bogbinder committed suicide. Like Malmø, Copenhagen did not lose its privileges either and the rebels were granted an amnesty. Christian III marched into Copenhagen on 6 August 1536 and six days later he carried out a coup. 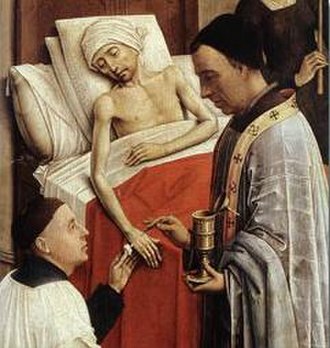 The three bishops who dwelt in Copenhagen were arrested and the rest were tracked down and likewise arrested. The official reason was their hesitation to elect Christian as king and other alleged criminal acts. The real reason was, however, that Christian wanted to kill two birds with one stone: carrying through a Lutheran Reformation and confiscating the bishops' properties, the profits from which was needed to cover the expenses of the recently ended civil war. Before Christian III came to power in all Denmark–Norway after the Count's Feud, he had already implemented the Protestant Reformation in his realms Haderslev (Hadersleben) and Tørning (Tørninglen, Törninglehn), two domains in southern Jutland which he had received in 1524. A convinced Lutheran since his encounter with Luther at the Diet of Worms in 1521, Christian III introduced a Lutheran church order in his domains in 1528, laid out in the twenty-two Haderslev articles. In 1536, he wanted to implement a similar order for the whole kingdom. The Haderslev articles had already introduced the office of a superintendent, and the arrest of the bishops – who had not supported his election and neither were willing to bear any of his war costs – made way to the assignment of Lutheran superintendents in all of Denmark-Norway. After the coup, Christian III had contacted Martin Luther and Johannes Bugenhagen, whom he had first met in 1529 – both congratulated the king. 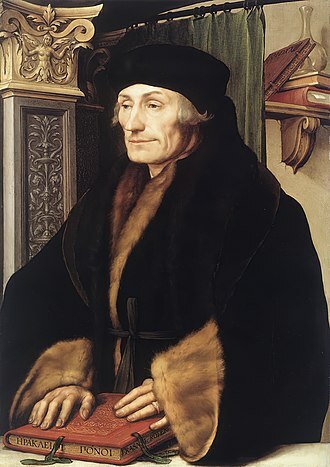 His subsequent request to John Frederick I, Elector of Saxony to immediately deploy Melanchthon or Bugenhagen to Denmark was denied, but the elector was willing to do so once a rough draft of a Danish Lutheran church order had been provided by Danish theologians. Christian III could thereby rely on a pool of capable Danish Lutherans who all had studied at the University of Wittenberg, among them were Peder Palladius, Jørgen Sadolin, Hans Tausen and Frans Vormordsen. A synode was held in Odense where the draft was begun, and the work continued in Haderslev thereafter. The first draft was based primarily on the Haderslev articles, also on the Saxon script Unterricht der Visitatoren ("Visitators' lessons"), on Bugenhagen's Van menigherleie christliken saken ("Of several Christian matters"), on the liturgical writings of Luther and Danish liturgical writings. In April 1537, the draft was sent to Wittenberg for approval, whereupon the elector allowed Bugenhagen to depart for Denmark. After Bugenhagen had revised and amended the draft, it was translated from Latin to Danish and presented to the rigsrådet. After a second revision by Bugenhagen, the church order was completed and signed by Christian III on 2 September 1537 as Ordinatio ecclesiastica regnorum Daniae et Norwegiae et ducatuum Slesvicencis, Holtsatiae etc. etc. ("Church order of the kingdoms of Denmark and Norway and the duchies of Schleswig and Holstein etc."). In Denmark, seven superintendancies were established, replacing the former bishoprics. 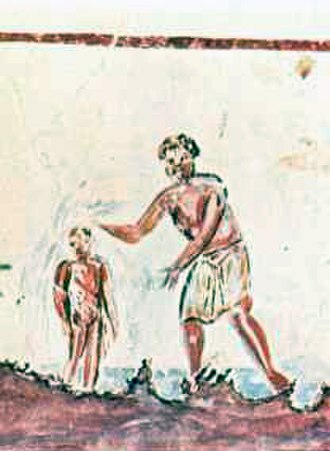 The superintendents were to meet with the king in synodes, the upper clergy with the superintendents in landemoders, and the lower with the upper clergy in kalenters, the king was to have no theological authority besides approving the superintendents, and the superintendents were not to hold fiefs or secular offices – a rule which would not be followed strictly. Likewise, Christian III would often intervene in the church's affairs. The church order turned against the veneration of saints, fast days, celibacy and everything else that was considered Catholic foolery, and instead it decreed church services to be performed in Danish. Most monks and nuns by far were allowed to stay in their monasteries and convents (except the grey friars) and the priests were allowed to keep their churches until they died. Only when the last monk or nun had died was the monastery added to the property of the Crown. Thus, in spite of more fierce procedures followed especially by bishop Peder Palladius on Zealand, the Reformation became a relatively bloodless affair in Denmark. A Danish translation of the Latin Ordinatio ecclesiastica was approved by the rigsrådet as a law in 1539. Bugenhagen left Denmark during the same year, but returned in 1542 to mediate negotiations with the gentry of Holstein, who had delayed the implementation of the church order there. On 9 March 1542, the Schleswig-Holsteinische Kirchenordnung ("Church order of Schleswig-Holstein") was approved by the Landtag in Rendsburg after a revision by Bugenhagen. Implementation of the church order in Norway proved more difficult, and even more so in Iceland, where it was implemented only in 1552 after the execution of bishop Jón Arason in 1550, and contested by the local population until the seventeenth century. 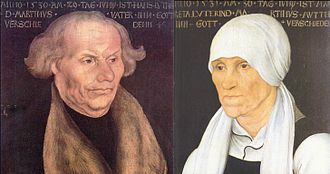 In addition to working on the Danish church order, Bugenhagen also crowned Christian III and his wife Dorothea with a Lutheran ritual on 12 August 1537, the king's thirty-fourth birthday and the first anniversary of the arrest of the Catholic bishops. 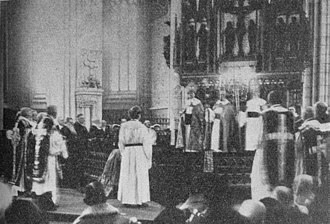 The coronation as well as the inauguration of the superintendents, which was also performed by Bugenhagen, took place in Our Lady's Church in Copenhagen. 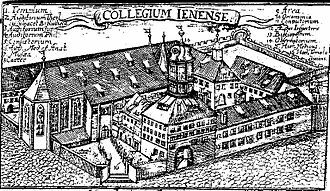 Also in 1537, the University of Copenhagen, closed since the Count's War, was modelled by Bugenhagen after Wittenberg was re-opened as a Lutheran university. 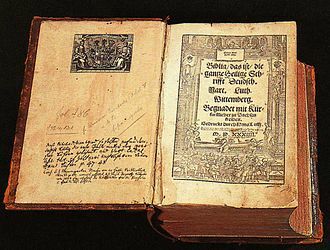 In 1550, the "Christian III Bible" was first printed, a translation of Luther's Bible by Christiern Pederson on behalf of Christian III. In 1556, Peder Palladius published the "Altar Book", a compendium of Lutheran liturgy, which however did not become binding in all of Denmark. The Reformation in Norway was accomplished by force in 1537 when Christian III declared Lutheranism as the official religion of Norway, sending the Catholic archbishop, Olav Engelbrektsson, into exile in Lier in the Netherlands (now in Belgium). Catholic priests and bishops were persecuted, monastic orders were suppressed, and the crown took over church property, while some churches were plundered and abandoned, even destroyed. Bishops (initially called superintendents) were appointed by the king. The first superintendent was Gjeble Pederssøn who served as superintendent of Bjørgvin from 1537 to 1557. In 1537 Christian III also made Norway a hereditary kingdom in a real union with Denmark that would last until 1814 when Frederick VI ceded the Kingdom of Norway to Charles XIII of Sweden. The Icelandic Reformation took place from 1539 to 1550. Iceland was at this time a territory ruled by Denmark-Norway, and Lutheran religious reform was imposed on the Icelanders by King Christian III of Denmark. The Icelandic Reformation ended with the execution of Jón Arason, Catholic bishop of Hólar, and his two sons, in 1550, after which the country adopted Lutheranism. ^ Dreyer, RHC 2013, ' An Apologia for Luther: The myth of the Danish Luther: Danish reformer Hans Tausen and 'A short answer' (1528/29). '. i P Obitz (red. ), The Myth of The Reformation, Refo500 Academic Studies vol. 9, Vandenhoeck & Ruprecht, p. 211-232. ^ Jón R. Hjálmarsson, History of Iceland: From the Settlement to the Present Day, (Iceland Review, 1993), p. 68. Grell, Ole Peter (1995). The Scandinavian Reformation. From evangelical movement to institutionalisation of reform (2 ed.). Cambridge University Press. ISBN 0-521-44162-5. Lockhart, Paul Douglas (2007). Denmark, 1513–1660. The rise and decline of a Renaissance monarchy. Oxford University Press. ISBN 0-19-927121-6. Lorentzen, Tim (2008). Johannes Bugenhagen als Reformator der öffentlichen Fürsorge. Studies in the Late Middle Ages, Humanism and the Reformation (in German). 44. Mohr Siebeck. ISBN 3-16-149613-2. Wylie, James A. (2002). The History of Protestantism. Hartland Publications. ISBN 0-923309-80-2. The Lutheran Church practices Confession and Absolution with the emphasis on the absolution, which is Gods word of forgiveness. Indeed, Lutherans highly regard Holy Absolution and they, like Roman Catholics, see James 5,16 and John 20, 22-23 as biblical evidence for confession. Confession and absolution is done in private to the pastor, called the confessor with the person confessing known as the penitent, in confession, the penitent makes an act of contrition, as the pastor, acting in persona Christi, announces the formula of absolution. Prior to the confession, the penitent is to review the Ten Commandments to examine his or her conscience, in the Lutheran Church, like the Roman Catholic Church, the pastor is bound by the Seal of the Confessional. Luthers Small Catechism says the pastor is pledged not to anyone else of sins to him in private confession. 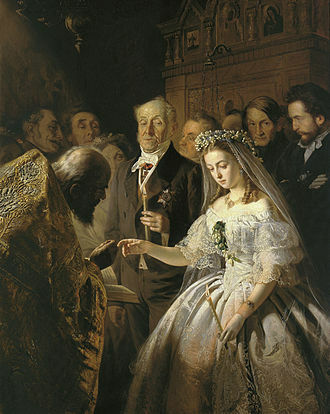 If the Seal is broken, it will result in excommunication, in the nineteenth and twentieth centuries, private confession fell into disuse, at the present time, it is, for example, expected before partaking of the Eucharist for the first time. It is encouraged to be frequently in a year. 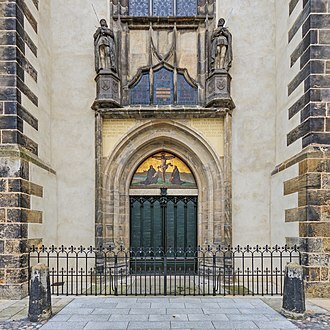 In many churches, times are set for the pastor to hear confessions, the definition of sacrament in the Apology of the Augsburg Confession lists Absolution as one of them. Luther went to all his life. Although Lutherans do not consider the other four rites as sacraments, concerning this faith, which obtains the remission of sins, there is not a syllable in so great a mass of regulations, summaries, books of confession. In his 1529 catechisms, Martin Luther praised confession for the sake of absolution, the Roman Catholic church held confession to be composed of three parts, contritio cordis, confessio oris, and satisfactio operis. Faith or trust in Jesus complete active and passive satisfaction is what receives the forgiveness and salvation won by him, I, a poor sinner, plead guilty before God of all sins. I have lived as if God did not matter and as if I mattered most and my Lords name I have not honored as I should, my worship and prayers have faltered. The use of terms catholicism and catholicity is closely related to the use of term Catholic Church. 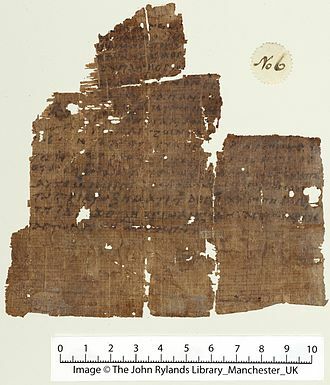 The earliest evidence of the use of term is the Letter to the Smyrnaeans that Ignatius of Antioch wrote in about 108 to Christians in Smyrna. In 380, Emperor Theodosius I limited use of the term Catholic Christian exclusively to those who followed the faith as Pope Damasus I of Rome. 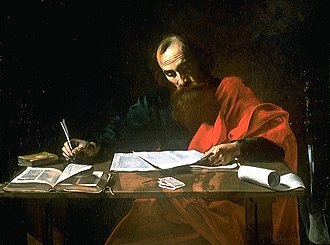 Numerous other early writers including Cyril of Jerusalem, Augustine of Hippo further developed the use of the term catholic in relation to Christianity. In Christian theology, and specially in ecclesiology, terms Catholicism, when used with small c, terms catholicism and catholicity generally designate theological doctrine of the catholicity of the Church without denominational connotations. A common belief in Catholicism is institutional continuity with the early Christian church founded by Jesus Christ, many churches or communions of churches identify singularly or collectively as the authentic church. The Bishop of Rome was considered to have the right to convene ecumenical councils, when the Imperial capital moved to Constantinople, Romes influence was sometimes challenged. The first great rupture in the Church followed this Council and they are often called Ancient Oriental Churches. The next major break was after the Council of Chalcedon and this Council repudiated Eutychian Monophysitism which stated that the divine nature completely subsumed the human nature in Christ. 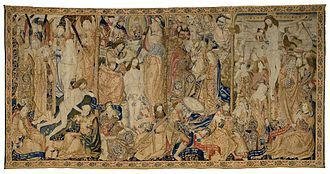 This Council declared that Christ, though one person, exhibited two natures without confusion, without change, without division, without separation and thus is both fully God and fully human, the next great rift within Christianity was in the 11th century. This division between the Western Church and the Eastern Church is called the East–West Schism, several eastern churches reunited, constituting some of the Eastern Catholic Churches. 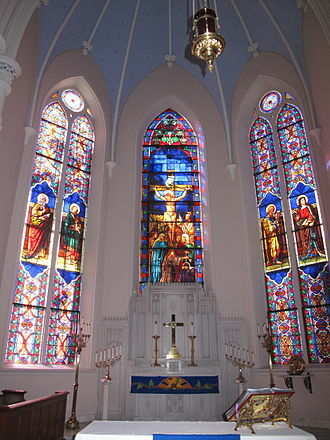 Liturgical and canonical practices vary between all these particular Churches constituting the Roman and Eastern Catholic Churches, in all these cases the beliefs and practices of Catholicism would be identical with the beliefs and practices of the Church in question. The Luther seal or Luther rose is a widely recognized symbol for Lutheranism. It was the seal that was designed for Martin Luther at the behest of John Frederick of Saxony in 1530, Lazarus Spengler, to whom Luther wrote his interpretation below, sent Luther a drawing of this seal. Luther saw it as a compendium or expression of his theology and faith, Luther informed Philipp Melanchthon on September 15,1530, that the Prince had personally visited him in the Coburg fortress and presented him with a signet ring, presumably displaying the seal. A single rose had been known as Luthers emblem since 1520 when Wolfgang Stöckel in Leipzig published one of Luther’s sermons with a woodcut of the reformer and this was the first contemporary depiction of Martin Luther. Luthers doctors ring displayed a heartlike shield, the symbol of the Holy Trinity, in a July 8,1530 letter to Lazarus Spengler, Luther interprets his seal, The Luther rose is used in many coats of arms. The assumption that Martin Luther had visited any of these places is not confirmed, Rose Rose Rose of Sharon Rosy Cross Sacred Heart Luther, Martin. D.
It is contrasted with the Theology of Glory, which places greater emphasis on human abilities and human reason. Paragraph 2015 of the CCC describes the way of perfection as passing by way of the Cross, there is no holiness without renunciation and spiritual battle. Spiritual progress entails the ascesis and mortification that gradually leads to living in the peace, the term theologia crucis was used very rarely by Luther. He first used the term, and explicitly defined it in contrast to the theology of glory, during this debate, he represented the Augustinians and presented his theses that came to define the Reformation movement. The pertinent theological theses of the debate are, The law of God, the most salutary doctrine of life, cannot advance man on his way to righteousness, but rather hinders him. Much less can human works, which are done over and over again with the aid of natural precepts, so to speak, although the works of man always appear attractive and good, they are nevertheless likely to be mortal sins. Although the works of God always seem unattractive and appear evil, the works of men are thus not mortal sins, as though they were crimes. The works of God are thus not merits, as though they were sinless, the works of the righteous would be mortal sins if they would not be feared as mortal sins by the righteous themselves out of pious fear of God. By so much more are the works of man mortal sins when they are done without fear and in unadulterated, to say that works without Christ are dead, but not mortal, appears to constitute a perilous surrender of the fear of God. Indeed, it is difficult to see how a work can be dead and at the same time not a harmful. Arrogance cannot be avoided or true hope be present unless the judgment of condemnation is feared in every work, in the sight of God sins are truly venial when they are feared by men to be mortal. Free will, after the fall, exists in name only, Free will, after the fall, has power to do good only in a passive capacity, but it can do evil in an active capacity. The Lutheran World Federation is a global communion of national and regional Lutheran churches headquartered in the Ecumenical Centre in Geneva, Switzerland. The federation was founded in the Swedish city of Lund in the aftermath of the Second World War in 1947 to coordinate the activities of the many differing Lutheran churches. Since 1984, the churches are in pulpit and altar fellowship, with common doctrine as the basis of membership. The LWF now has 144 member church bodies in 79 countries representing over 72 million Lutherans, the Department for World Service is the LWFs humanitarian arm. It has programmes in 32 countries, the LWF is a member of ACT Alliance. On October 31,1999, in Augsburg, the Lutheran World Federation signed the Joint Declaration on the Doctrine of Justification with the Roman Catholic Church, the statement is an attempt to narrow the theological divide between the two faiths. The Declaration states that the mutual condemnations between 16th-century Lutherans and the Roman Catholic Church no longer apply, a similar event took place in Lund Cathedral at the 500th anniversary of the beginning of the Reformation when Pope Francis visited Scania, Swedens southernmost province that originally was Danish. More than 80% of member churches ordain women as ministers, the federation was organized at Lund, Sweden, in 1947. 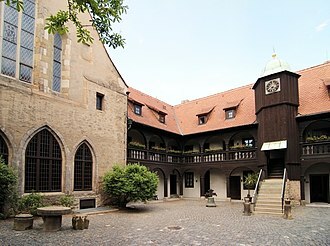 Based in Geneva, Switzerland, it replaced the more informal Lutheran World Convention, a key leader was Executive Secretary Sylvester C. Michelfelder, representing the American Lutheran Church and he had been a leader in organizing $45 million in American help for the rebuilding of Protestant churches in Germany after 1945. By the time of his death in 1951, the federation represented 52 churches in 25 countries, the 20 largest member churches are, The President is the federations chief official representative and spokesperson. He or she presides at meetings of the Assembly and Meeting of Officers, the Lutheran World Federation Council elects the General Secretary, who is appointed for a seven-year term. The person appointed is eligible for re-election and this map shows the global distribution of Lutheranism based on The LWF2013 membership data. Sorted by country in alphabetical order Some member denominations recognize same-gender relationships through marriage, international Lutheran Council Confessional Evangelical Lutheran Conference List of the largest Protestant denominations World Council of Churches Bonhoeffer, Dietrich.